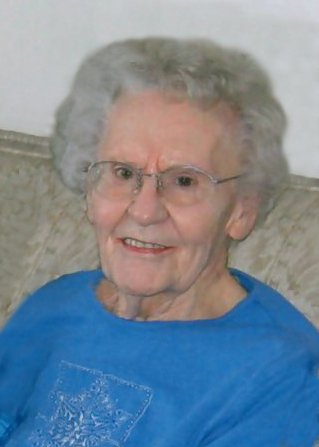 Loretta Catherine Lee, age 98 of Cannon Falls, died peacefully at her home at Twin Rivers Senior Living, Cannon Falls on Tuesday morning, March 19, 2019. 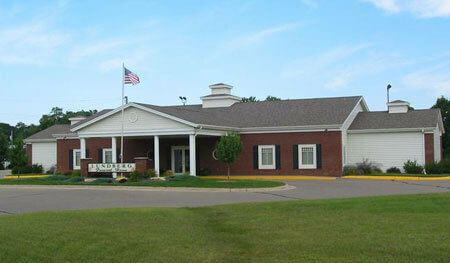 Loretta was born on October 5, 1920 in Pierz, MN, the daughter of Joseph and Frances (Hoffman) Tschida. She attended school in Pierz and Little Falls. She later moved to Northfield and worked at the Randolph Hotel. On April 25, 1942, she was united in marriage to Preston “Pete” Lee at St. Mathias Catholic Church in Hampton. They farmed together in Stanton Township until he died on November 9, 1982. She enjoyed having a garden, many flowers, feeding birds and squirrels. She worked at Kid Duds for many years and doing volunteer work. In 1998, she left the farm and moved to Cannon Falls. She was a longtime member of St. Pius V Catholic Church. She loved her family, grandchildren and great-grandchildren. She is survived by her son, Larry (Mary) Lee of Cannon Falls; three grandchildren, Jason (Melanie) of Farmington, Jeff (Erin) of Cannon Falls, and Melissa Lee of Robbinsdale; two great-grandsons, Leyton and Gavin and two great-granddaughters, Aubrey and Lynnea; sisters, Clara Brenny of Sartell, and Melitta Mae Ducklow of North St. Paul; sister-in-law, Eileen Tschida of Elk River; and many nieces, nephews, and friends. She was preceded in death by her parents; three brothers, one in infancy, Leo Tschida was killed in WWII, and Clarence Tschida; and sister, Lorraine Grahn; three brothers-in-law, Vince Grahn, Jerry Brenny, and Lyle Ducklow. A Mass of Christian Burial will be held on Monday, March 25 at 11:00 am, with visitation from 9-11 am, at St. Pius V Catholic Church in Cannon Falls. Interment will follow at the church cemetery. Active pallbearers will be Dan Lee, Donald Sheets, Tony Ducklow, Leon Grahn, Kevin Brenny, and Arthur Gangloff. Memorials are preferred in Loretta’s name to St. Pius V Catholic Church.